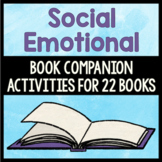 Paired with the book "Bully B.E.A.N.S." 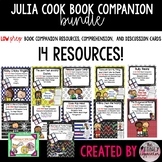 by Julia Cook, this power point and activity will teach students about the definition of bullying, the four types of bullying as well as learn how to put a stop to bullying. 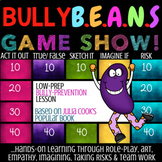 A nice touch at the end is to provide Bully Beans (jelly beans) to the students! 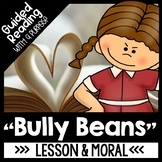 This activity follows along with the story Bully Beans and how a little girl has to deal with a bully at school. 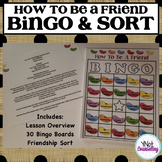 It covers bystanders and how to stand up to a bully. 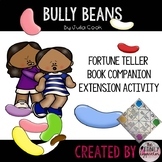 This activity follows along with the story "Bully Beans" this is a great activity for younger students to use to draw a picture of themselves using bully beans. Help your students talk about ways to stand up to bullying with these engaging, low prep, bullying prevention activities! Students will consider how they can stand up for themselves and others and why standing up to bullying is important! 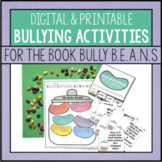 These activities go perfectly with the book Bully B.E.A.N.S. 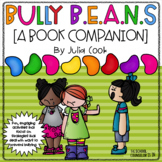 I do this activity with my kindergartners after we read, "Bully Beans" by Julia Cook. Based off of Julia Cook's Bully B.E.A.N.S story. Based off of Julia Cook's Bully B.E.A.N.S. story.